Shares in European banks surged initially after the ECB and EBA published their bank stress test results on Sunday. The European Central Bank (ECB) reported that 13 of the 25 banks that failed on December 31st have since raised their capital to adequate levels. However, the initial jump in stocks has been followed by a slight fall. The initial euphoria was soon dampened by news that German business sentiment reached a near two-year low. The European Banking (EBA) Authority initially failed 24 banks, with ten bringing their balance sheets up to the required standards. Italian bank Monte dei Paschi di Siena, which fared badly in both the ECB and EBA tests, saw its shares take a 15% nosedive before they were suspended. Shares in Lloyds Banking Group, which only just managed to scrape through, fell 2.5%. Germany’s Commerzbank and Austria’s Erste Bank, Raiffeisen jumped 5% when trading started on Monday. Commerzbank later on in the morning dropped slightly to stand 2.5% higher. The ECB test was done on the 130 largest banks in the Eurozone, while the EBA tested 123 banks in the whole European Union (EU). Some EU countries, such as the UK and Denmark, are not in the Eurozone. Monte dei Paschi di Siena failed badly in both the ECB and EBA stress tests. All the British Banks passed the EBA test. Of the 14 institutions that have been given 9 months by the EBA to raise their capital, otherwise they may be shut down, four were from Italy, two from Slovenia, two from Belgium, and two from Greece. The ECB test reported there was a capital shortfall of €25 billion at the end of 2013, which has since been reduced to €6.35 billion. None of the Eurozone’s very large banks failed. All institutions in Germany, France and Spain passed. The euro has also had a good day so far. It rose against most major currencies, despite a report on Monday showing that business confidence in Germany has fallen for six successive months. 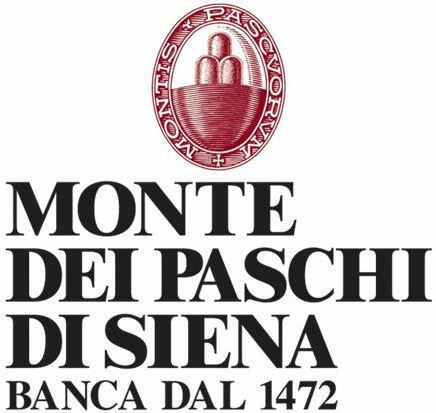 Monte dei Paschi di Siena, which faces a €2.1 shortfall, may be forced to seek a merger. The bank, which was founded in 1472, has hired UBS and Citigroup to advise it on strategic options such as asset sales, a cash call, or a merger. The stress tests exposed the extent of Italy’s economic crisis. The country’s huge public debt is harming the banking system. According to the ECB, fifteen Italian banks have overvalued their loans to the tune of €12 billion.